Water is an essential ingredient for life on Earth. If we want to find life on another world, we look for the presence of liquid water. We know there is liquid water on other worlds, but the question remains whether our planetary sibling, Mars, has liquid water. We have long known that Mars was once a wet world. Isotope measurements show Mars was an ocean world in its youth. Rain fell from the sky, and rivers flowed. But today Mars is cold and dry. Ice can be found on its surface, but long gone are the Martian rivers and seas. With weak gravity and little magnetic field, the red planet simply couldn’t hold a rich atmosphere, and so the liquid water evaporated and froze. But it’s possible that some water might exist beneath its surface, and ice in its soil might be able to liquify under the right conditions. There is evidence to support this idea, such as through recurring slope lineae. These dark lines along the sides of hills look similar to what you would see if you scooped your hand through wet sand. Rather than a rich flow of water, it is a damp seeping through the sand. 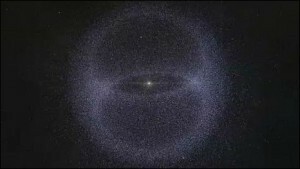 Looking at the images, it certainly looks like a liquid flow, but astronomers know the risk of simply assuming something to be true based upon appearances. If it looks like liquid water it’s worth a further look, but appearances are not proof. In 2015 there was a great deal of excitement about these lineae when astronomers found evidence of perchlorate salts within them. The salts could mix with water to created a brine, and this brine could remain liquid even at the temperature and pressure of Mars’ summer weather. In the winter of Mars it would freeze, and this would explain why the recurring slope lineae seem to appear seasonally in the summer. But while liquid water is a good explanation, it isn’t the only possible explanation. This is why the discovery was met with cautious optimism. Now it seems it was good to be cautious. New observations from the Mars Reconnaissance Orbiter point to a dry answer. Careful analysis shows that the lineae occur along steeper slopes, but stop when the slope reaches a shallow enough angle of incline. 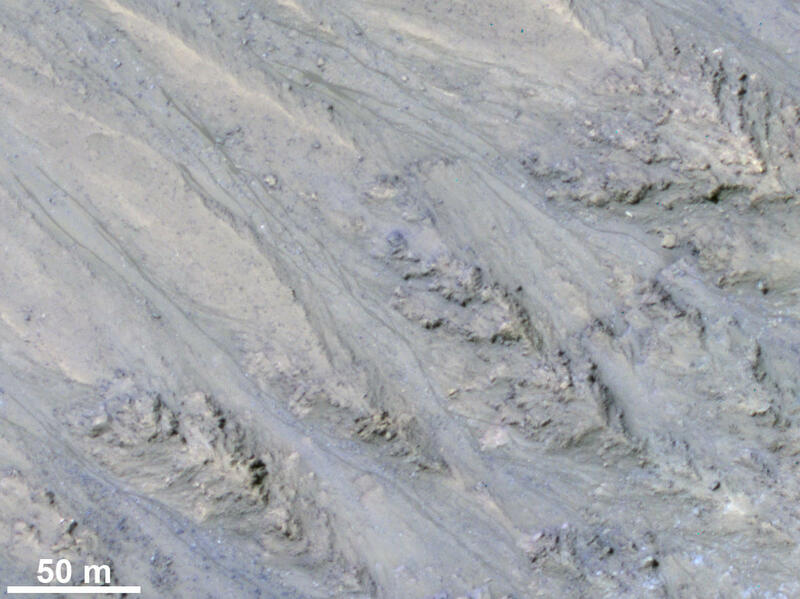 This critical incline is consistent with the critical incline seen in flows of dust and sand. It’s similar making a hill out of sand. It’s easy to build a shallow hill by piling on ever more sand, but if you try to make a steeper hill the sand topples down to the shallow angle. Liquid water doesn’t have such a critical angle. If the lineae were due to liquid water, you might see it stop at a similar distance from its source, but water can still flow down shallow hills. So it seems this is a dry flow of dust and sand rather than a flow of water brine. If that’s the case, it could mean that Mars is very dry indeed. Perhaps too dry to support life. As with earlier evidence, we should still be a bit cautious. 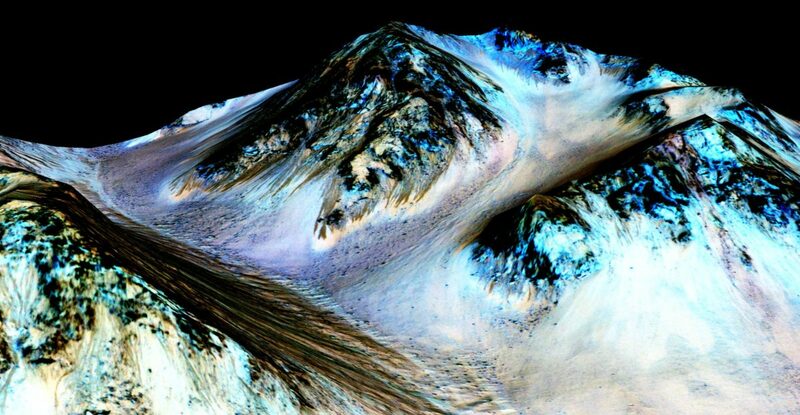 There might still be liquid water on Mars in some places. The question of liquid water on Mars is so important that we want to be careful about both the evidence and our conclusions. It’s also the best way to do science if you want to get it right.